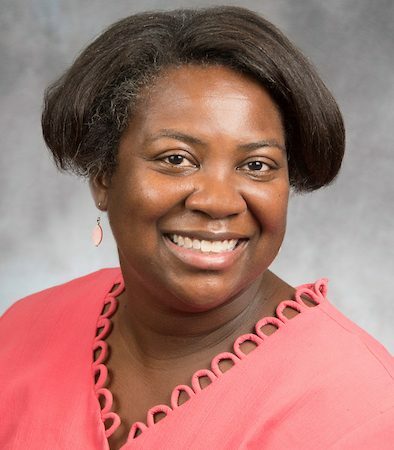 It is with mixed emotions I share that Dr. Anita Thomas, Dean of the College of Applied Behavioral Sciences, has been named the next Executive Vice President and Provost at St. Catherine University in St. Paul, Minnesota. During the past three years at the University of Indianapolis, Dr. Thomas provided outstanding leadership to her faculty and staff including the transition of the former School of Psychological Services into a College and the launch of new programs (Master of Arts in Addictions Counseling, and the Certificate in Addictions Counseling). She guided the process for the reaffirmation, and initial accreditation visits of the Bachelor of Social Work, and Master of Social Work programs, respectively. I anticipate that both site visits will yield positive outcomes for these important programs. She is an active member of the Academic Master Plan steering committee and engaged supporter of the work of the Office of the Provost. As a clinical psychologist, she has also been a sought-after expert frequently quoted in media coverage of national and state-wide issues. I have enjoyed working with her and grateful for her many contributions towards the advancement of UIndy. To allow for the smoothest possible transition, I am pleased that Dr. Thomas plans to remain with us until the end of Semester II. Hence, there will be opportunities next semester for us to celebrate her achievements and to wish her well in her new role. While we will miss Dr. Thomas, we also recognize that the opportunity to serve as a Chief Academic Officer of an outstanding institution is a significant career accomplishment. Please join me in extending warm congratulations to Dr. Thomas! Stephen H. Kolison, Jr., Ph.D.